When I first here someone mention the word 'collagen' it makes me think of botox and all those vane celebrities trying to look younger and more beautiful. But then a couple weeks ago I discovered NeoCell and began researching what it was they stood for. I quickly learned that I was the one being vane thinking about nothing but beauty. 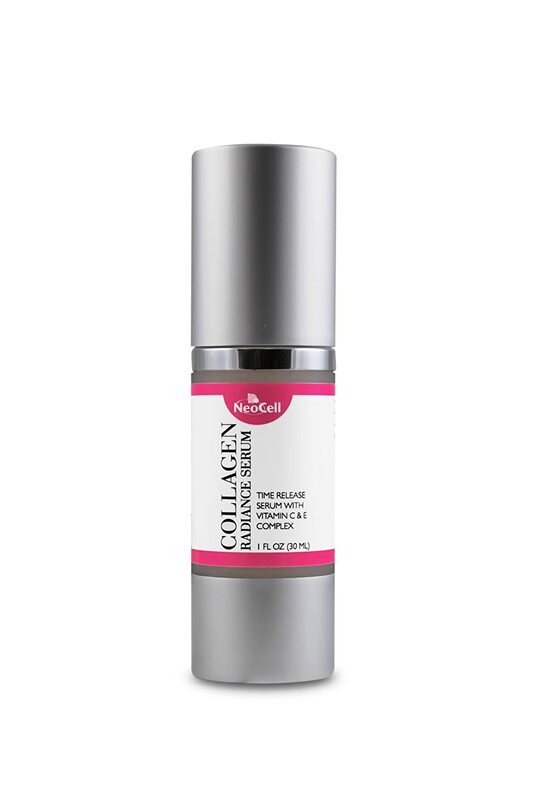 "Collagen plays in strengthening and rebuilding loss muscle mass and improving connective tissues"
I have a hard time believing in certain types of products like those that claim to be age defying or wrinkle preventing. When I was younger, my mother used to claim that if I spread my lotion from the bottom of my face to the top instead of downwards, I could prevent aging and wrinkles. Whether or not this is true, I believe that if you take care of your body naturally, all will fall into place. Your body, face, skin, etc. will all age the way it is meant to. We weren't meant to be young forever or to add silicone and other disgusting chemicals to make us appear to be. Neocell sent me a huge variety of their products to test out if there is such a thing. This included their Advanced Hyaluronic Lipsome Serum, Collagen Plus C Serum, Collagen with Vitamins Herbal Beauty Mist, Fruit Punch Beauty Burst and Chocolate Mint Beauty Burst, as well as their Keratin Hair Volumizer and Collagen Beauty Builder. Both serums felt very refreshing and clean smelling when rubbed all over my face (upwards of course). I didn't feel like I needed to add any additional moisturizers and felt as though my face still felt clean and not greasy. I have no idea if these worked or are working as only time will tell. My favorite though was the Collagen with Vitamins Herbal Beauty Mist. I hate being out of the home and feeling like my face is dry or dirty feeling and it needs a refresher. I've never enjoyed smearing a lotion on my face if I am not home to wipe clean any excess. With the misting spray I felt like I could add a quick spray and the dryness was gone. I could even feel the softness on my lips that lasted for a while. Because Collagen Type 1 and 3 can help repair broken or split nail beds the Collagen Beauty Builder is a great way to build those weak nails up. I remember absolutely loving being pregnant because of how hard and strong my nails would get. It was the only time in my life I was able to grow real long nails. After taking the Collagen Beauty Builder I've noticed a definite increase in the hardness of my nails again!! With mentioning the benefits of being pregnant, another thing I loved about this time in my life was how quick my hair would grow. The Keratin Hair Volumizer thickens ﬁne hair, adds body and slows down hair loss. My hair felt great after just using this for a week, definitely less frizz that's for sure! The only thing is I dye my hair so I have to dye it a bit more frequently if it continues to grow this quickly! The Beauty Bursts contain 2,000 mg of collagen and are lactose and gluten free. Because of this they have similar affects as the other products I've been mentioning, they are great for overall body health. What I liked most about these is that they double as a healthy snack or satisfy your craving for something sweet while maybe dieting. The Chocolate Mint Beauty Burst was honestly like a strange party in my mouth (haha). They were a combination of chocolate, mint and caramel flavor which was interesting. The Fruit Punch Beauty Burst were my personal favor which tasted exactly as described - Fruity. Both tasted great though! Recommendation: I really can't say I was too impressed with the serums as much as the other products but the pricing is phenomenal in my eyes for a beauty product of this sort if it works over a long term use. I will definitely be buying more of the Herbal Mist to carrying in my purse and probably will be using it at home more too. I love love love the beauty chews and the hair volumizer too! 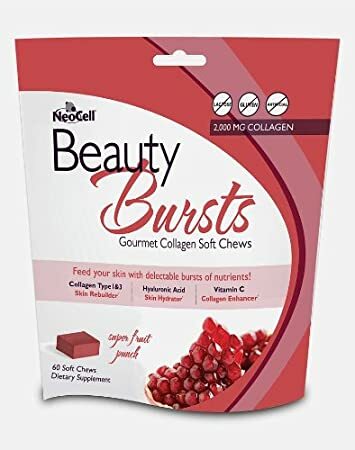 NeoCell carries quite a few products all at great prices that I would recommend checking out when you have some time (especially you beauty queens)! 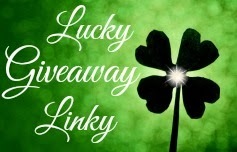 Giveaway: NeoCell is going to give one of A Lucky Ladybug's lucky readers the same set of beauty products of their own as part of the "Find the Natural Beauty in You" Giveaway event starting tonight! I really like the idea of the Beauty Bursts! Who doesn't need a healthy snack that is good for you inside and out? I know that collagen helps with healing of scars which is wonderful when you are old or young. I would love to try these products. Especially the beauty bursts. What a great giveaway and who would have thought that you could take a collagen booster in a soft chew. I too thought that collagen was famous people paying top money to look younger (often making themselves look much worse than they originally intended). Thank you for writing this review and helping us have a better understanding of its uses. I could really use these. I had neck surgery and have a scar on the neck. I would really like to find something that would help to lesson the scar. Collagen strengthens and rebuilds loss muscle mass and improvies tissue. 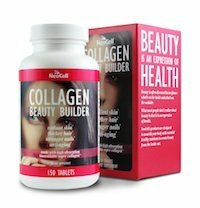 I SO need the collagen beauty builder - my nails are like paper and are ripping all the time! trying anything to help aging is a great alternative to surgery as i doubt I ever will! I'd use the hair volumizer. I love all beauty products, enjoy trying new ones, so I can find specific ones I really like! I am very eager to try the hair volumizer. I have thin, limp, frizzy hair (horrible, right?) so this definitely sounds like the product for me! These sound so indulgent, and a great way to "attack" from the inside and the outside. Cannot wait to try all of the products. I'd love to try the hair volumizer. I have serious hair issues. I would love to try the Beauty Mist when I am outdoors as a fresh "pick me up" for my dry skin! I really need beauty products to try, I'm getting too old and ugly. Haha, I want a "strange party in my mouth" haha, the beauty burst sound really awesome, I'd love to give them a try! These products sound so much more believable than so many others that claim things there is no way they can do. Looks like great products, I should try! Berry Burst and Mint Chocolate beauty supplements - yum! I am intrigued by the Beauty Bursts! That sounds really unique and I like that they are gluten free. I'm also intrigued by the Beauty Mist. 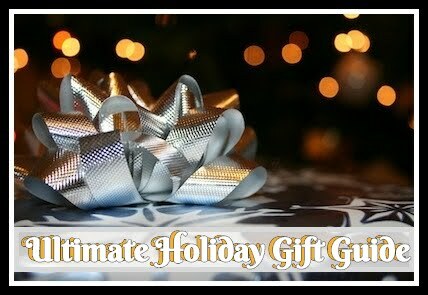 I love beauty products and find that I spend quite a bit of time choosing new products for myself and my family. The Beauty Mist does sound amazing! I was looking for it on their site earlier because I wanted to know what it would do, but you have answered my question! I too hate the way too much lotion feels on my face! The Beauty Mist would be perfect to keep in my purse for when my face feels dry on the go. I keep reading a lot about collagen and how important it is to maintaining skin elasticity, so I look forward to trying these products. My nails are like paper - I'd so like to try the collagen beauty "booster"! How can something named fruity beauty burst be good for you???!!! I cannot wait to try them! 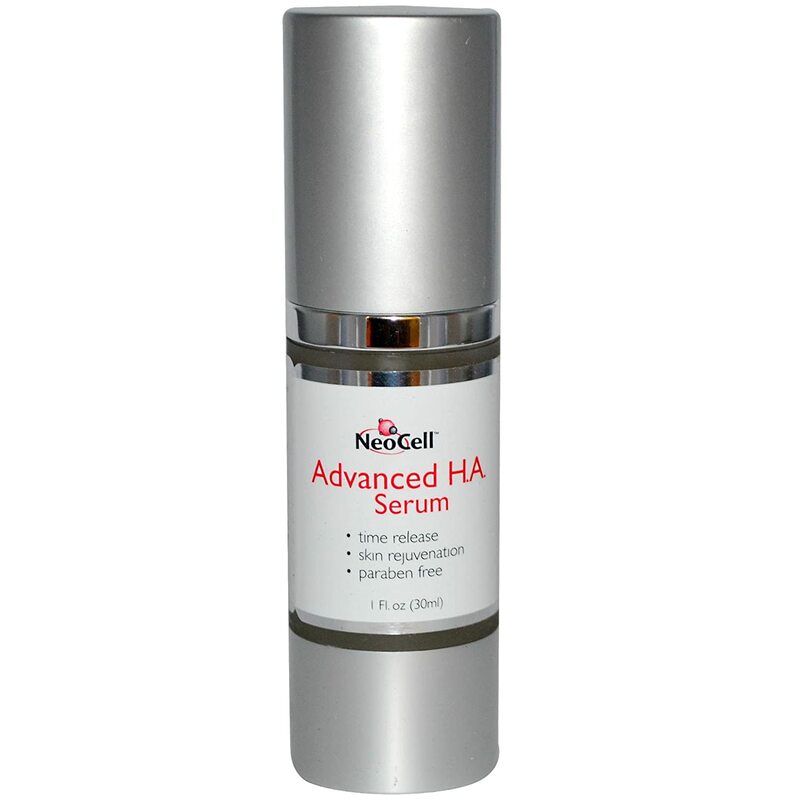 I cannot wait to try the HA serum - maybe it will help plump the saggy places onmy face?! This is exceptionally informative! I'm glad to know more about the potential uses of collagen! I'd really like to try the Radiance Serum - as I've aged my skin has gooten a bit dull and even a little help would be nice! This seems like such a comprehensive, wholisitc approach ot beauty from the inside and out - cannot wait to try the products! I look forward to buying the one for your nails as I seen now that I have gotten older my nails are brittle, dry and cracked making harder to get my nails to grow out so I look forward to trying the Collagen Type 1 and 3. 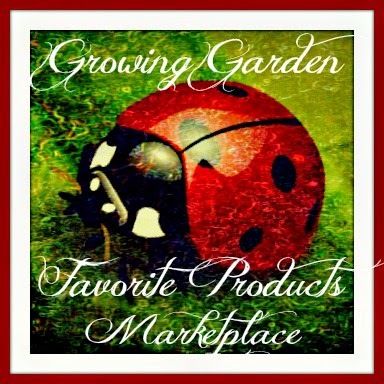 Thanks so much for letting us know about all these amazing products. I cannot wait to try the Chocolate Mint Beauty Burst. I can take my supplement in the morning and feel like I am having dessert for breakfast! The Beauty Mist sounds like such an amazing product, would love to try it! I love that you share your experience with products with everyone. I love that these products have been developed to work with each other from different angles to address quite a few beauty challenges! I would love to try the Keratin Hair Volumizer! Anything that helps with frizz is a great thing! I am starting to get hot flashes - would be so nice ot hav ethe beauty mist to give me a little relief!